Anyone curious about Christian faith and practice. Current church members who want a refresher, or who are interested in formally reaffirming their Baptismal Vows. 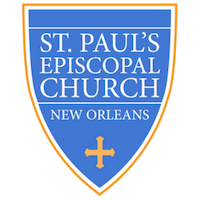 Adults and Youth 16+ seeking Baptism, Confirmation, or Reception into the Episcopal Church. Bishop Thompson will baptize, confirm, receive, and reaffirm candidates at his annual visitation to St. Paul’s on Sunday, May 19, 2019. The fundamentals of the Christian faith from an Episcopal/Anglican perspective. As the name of the course implies it is about the basics of our faith, both what we believe and how we practice our faith. Walk in Love: Episcopal Beliefs and Practices by Scott Gunn & Melody Wilson Shobe, (Forward Movement, 2018) is the recommended text. Our classes will consist of video presentations by the book’s authors, as well as discussion. Reading the book is not required for the course, but it is recommended in order to deepen your understanding and appreciation of the material. Wednesday evenings Mar. 13 – April 10 from 6:30 PM – 7:30 PM in the Parish Hall. There will also be a gathering for a light breakfast with Bishop Morris Thompson at 9:00 AM on May 19 for those who will be baptized, confirmed, or received. Childcare and children’s Sunday school will be provided for all sessions. Participants will also be expected to participate in a service project. Details will be provided in class. Sign up below by Friday, Mar. 8. For further information, contact Fr. Rob Courtney at (504) 488-3729, ext. 122; (504) 655-7756; or email .